If you like dubstep and you like metal, there's an album you MUST listen to if you haven't already, and that's "The Path of Totality" by KoRn. I'm not going to say you'll like it or you'll hate it, but either way it's an album that needs your attention because it's just so different from anything else out there at the moment. KoRn really made a groundbreaking album, for good or for bad that mixes to very different genres together and created a very interesting sound. If you're interested I did review the album on this site, you can read that here. As for "Nacissistic Cannibal" this is a very good song to get your head around the general sound of the album. 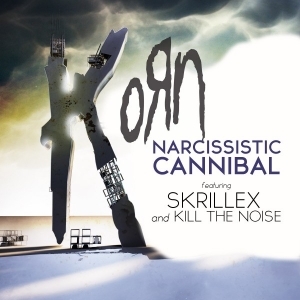 It's not my favourite on the album, but collaborating with Skrillex for the main single off the album made perfect sense for KoRn and the end result is a song that does its very hardest to incoorporate the two genres together. The chorus is very similar to a lot of other KoRn tracks but then you have some pretty sweet electronic solo music towards the end courtesy of Skrillex. It's a fine track in my opinion, but as I said it's not for everyone. If you missed #62 go here.